Sarah Hart, a widowed mother of two, has recently moved back to Maple Hill with her son Jason and his family. While restoring Jason’s new home, they discover a hidden passage containing an ancient quilt! As Sarah embarks on an investigation to uncover the secrets of the quilt, she realizes that it holds more secrets than she ever could have imagined. Set in a historic village nestled in beautiful New England, Patchwork Mysteries are entertaining and intriguing mysteries, always centered around a quilt. Sarah Hart, an expert quilt restorer, skillfully pieces together the clues to Maple Hill's most intricate mysteries where secrets will be revealed, challenges are met and neighbors come together to help one another in a community built upon a deep abiding faith in God. A good old-fashioned, page turning "whodunit"! After her husband died five years ago, Sarah Hart continued living in the home where they had raised their two children. Her son Jason and his family have recently moved back to Maple Hill, where they have bought an abandoned Victorian house that once belonged to Sarah's grandfather. They plan to restore the old house to its former glory, but little do they know that this rambling old house has a mystery of its own. While looking after her granddaughters, Sarah's granddaughter Amy discovers a secret passage where the three of them find an ancient quilt that leads Sarah to solving a century-old family mystery. 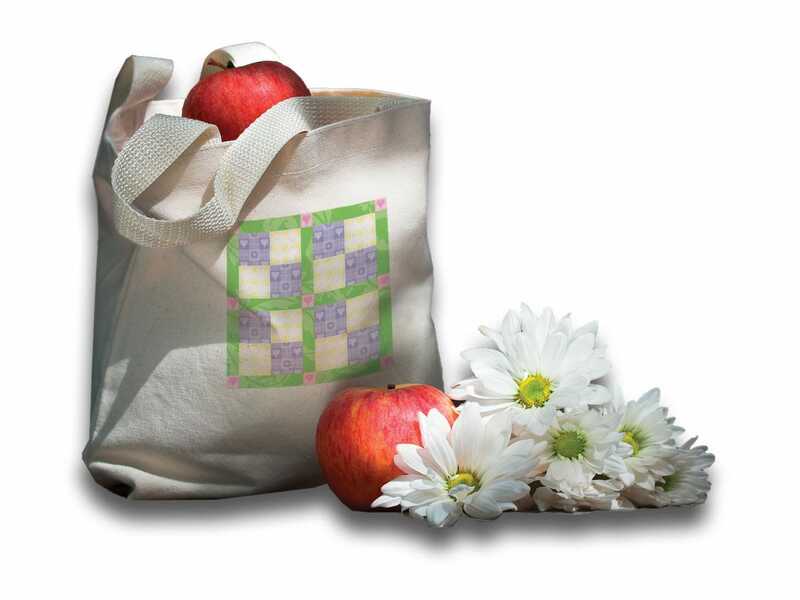 Get this tote bag with your purchase of Book 1 or Patwork Mysteries Continuity Series. Kristin Eckhardt is the author of more than twenty-five books. She has won two national awards for her writing and her first book was made into a television movie. Kristin and her husband raise three children on their farm in central Nebraska and are active volunteers in their church and community. Loved the first book. Can't wait to read the second. I loved the book Sarah and her family are great!! I love this book and the people in the book, very thrilling. What a pleasant surprise when this book landed in my hands. My friend it was good and she was so right.She knew I liked mysteries and this book has it all. I will be trying some of the authors twenty four other books!